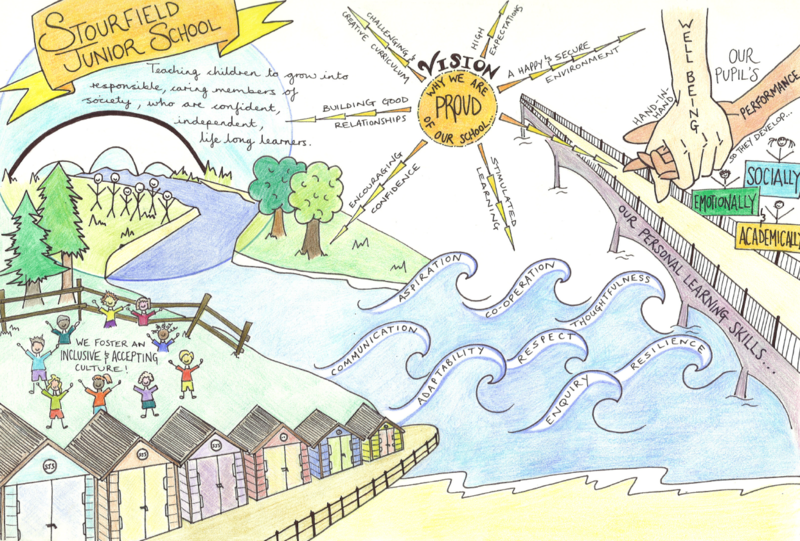 We aim to ensure that all members of our school community are happy, resilient, self motivated, skilled and healthy. We want to provide children with the ability to think independently, to have respect for themselves and for others and to follow our common set of values. They will recognise the importance of learning and continue to do so in the future, helping them to develop academically, socially and emotionally. Children will be treated as individuals whilst developing their roles within the wider community. We strive for a happy, secure environment which is purposeful and welcoming, that stimulates learning and encourages children to feel confident and valued. We believe that this can be best achieved by building good relationships with the child and their family, setting high expectations with regard to both learning and behaviour and providing a challenging, creative and appropriate curriculum. Ultimately, in realising our vision, we are creating a school of which we, and all members of the school community, are proud.